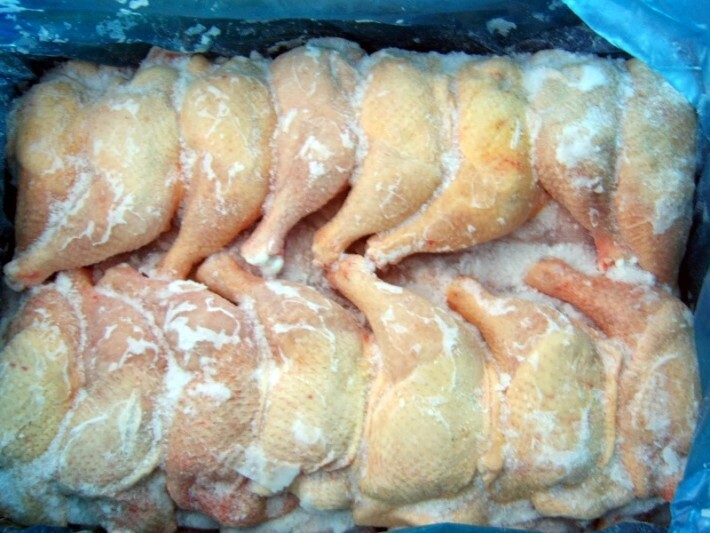 The Nigeria Customs Service, NCS, has seized 112 cartons of contaminated poultry products smuggled into the country through the Katsina border. Briefing journalists on Wednesday in Katsina, the Area Controller, Kaduna/Katsina Command, Gidado Bala, said that the smugglers were intercepted at Dankama in Kaita Local Government Area. Mr. Bala said the smugglers on sighting the customs patrol team abandoned their goods and fled. He said the frozen poultry products were discovered to be unsuitable for human consumption when examined. Mr. Bala said that the federal government banned the importation of poultry products to protect the health of its citizens and to encourage animal husbandry and poultry farming in the country. The controller, therefore, advised smugglers to desist from the illegal business or face arrest and prosecution. The News Agency of Nigeria, NAN, reports that the seized items were handed over to the National Agency for Food and Drug Administration and Control, NAFDAC, for destruction. The NAFDAC area coordinator, Habibu Garo, however said that they would continue to collaborate with customs and other security agencies to curtail smuggling of dangerous products into the country. Mr. Garo advised the public to desist from patronising imported poultry products because it posed health hazards.